Astronaut David Saint-Jacques is heading to the International Space Station in November as a crew member of Expedition 58 and 59. As part of the journey Saint-Jacques is participating in educational and public outreach activities to educate and inspire Canada’s youth. Most of that outreach now is virtual as with yesterday’s event. 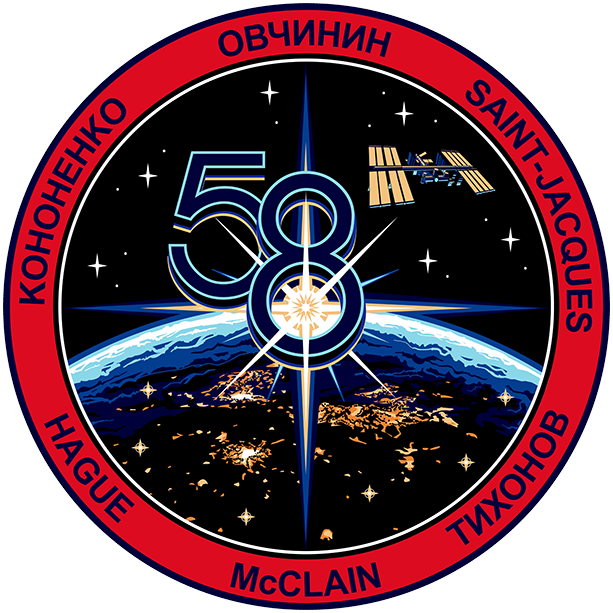 The event was held online as Saint-Jacques is currently splitting most of his time between Moscow and Houston, with the occasional visit back in Canada, as he prepares for his six month mission. Follow David Saint-Jacques mission on SpaceQ as we cover his incredible journey. That mission will be heavy on medical research as Saint-Jacques is both a doctor and engineer. The medical research, primarily geared towards learning more on how the human body adapts or doesn’t adapt to the space environment, will help as humans spend more time in space and venture further from the Earth on even longer duration missions. The knowledge gained will hopefully help mitigate biological issues that are observed in astronauts in space by developing new protocols, tools and or remedies. The research is not limited to solutions for the astronauts in space, it also provides knowledge that helps the medical community on Earth. It should be noted that the Canadian Space Agency is one of the leading space agencies in furthering the medical frontier of space medicine. Two* of Canada’s previous astronauts, Dr. Dafydd (Dave) Williams and Dr. Robert (Bob) Thirsk, also participated in medical research in space. 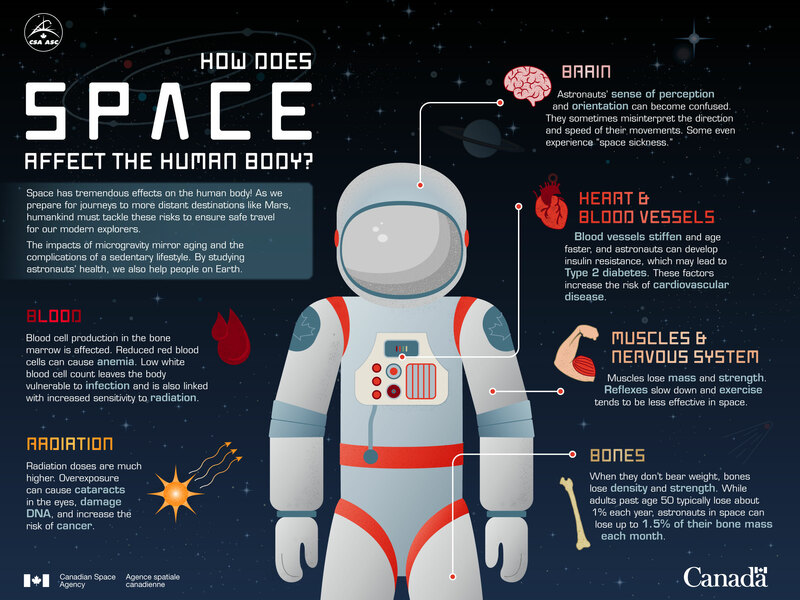 Space has tremendous effects on the human body! As we prepare for journeys to more distant destinations like Mars, humankind must tackle these risks to ensure safe travel for our modern explorers. The impacts of microgravity mirror aging and the complications of a sedentary lifestyle. By studying astronauts’ health, we also help people on Earth. Credit: Canadian Space Agency. For this outreach activity he was talking with students from Sister MacNamara School in Winnipeg, St. Vincent Catholic Elementary School in Edmonton, Mayerthorpe Junior/Senior High School in Mayerthorpe, Alberta and Stonewall Centennial School in Stonewall, Manitoba. * Note: We forgot to mention the work of Dr. Bondar who flew on the Space Shuttle Discovery during Mission STS-42 between January 22-30, 1992 where she performed experiments in the Spacelab..